In the past, economic models were mostly built on the premise of ‘take-make-consume and dispose” pattern of growth (EU, 2015). 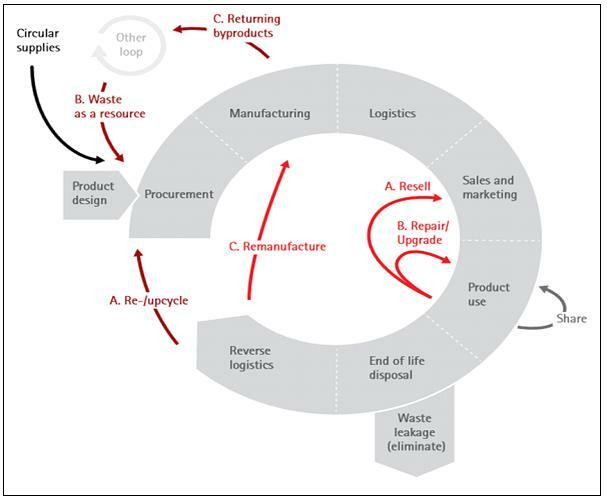 Businesses and industries have customarily followed such a linear model that assumed that resources are abundant, available and cheap to dispose of; as every product is usually bound to reach its ‘end of life’. At the same time, when products worn out or are no longer desired, they are often discarded as waste. Industrial and mining activities are causing resource depletion and pollution problems (Prior, Giurco, Mudd, Mason and Behrisch, 2012). Notwithstanding, it is envisaged that the reserves of some of globe’s key elements and minerals shall be depleted within the next 50 years or so (Shrivastava, 1995). Moreover, land degradation is constantly impacting on the natural environment, as arable land continues to disappear. Improper disposal of hazardous waste in landfills could cause health risks for nearby residents and animals (McKinney, Kick and Cannon, 2015). Incineration of waste products also creates the need to dispose of residual toxic metals, including lead and mercury, which in turn bring problems of groundwater contamination (Singh, Singh, Araujo, Ibrahim and Sulaiman, 2011). In addition, plastic waste dumped into the ocean is responsible for the deaths of millions of fish, seabirds, and sea mammals, annually (Barnes, Galgani, Thompson and Barlaz, 2009). Furthermore, the warming of the earth’s climate, that is one of the outcomes of carbon emissions from fossil fuels, is yet another serious problem facing today’s society (Levitus, Antonov, Boyer, Baranova, Garcia, Locarnini and Zweng, 2012). The world’s growing populations and their increased wealth is inevitably leading to greater demands for limited and scarce resources. Twenty five years ago, Granzin and Olsen (1991) reported that the US municipalities were already running out of landfills. Today, Americans are generating around 251 million tons of trash (EPA, 2012). In a similar vein, every person in Europe consumes more than 4.5 tonnes of waste (EU, 2015). These contentious issues underline the perennial conflict between economic development and environmental protection. It may appear that the extant economic models seem to rely too much on resource extraction and depletion. If solutions are to be found, the public must be encouraged to alter a number of its irresponsible behaviors (Williams and Zinkin, 2008). There could be scope in using resources more efficiently; as better eco-designs, waste prevention and reuse of materials can possibly bring net savings for businesses, while also reducing emissions. Perhaps, policy makers could elicit certain behavioral changes that will close the loop of the circular economy. Their responsible proposals may be presented as voluntary principles or could even be mandated by legislation – in some contexts. Regulatory tools and guidelines will help to bring further improvements in the organisations’ operational procedures, for the benefit of all stakeholders (Camilleri, 2015). The basis of the circular economy lies in extracting the embedded costs of resources; through re-using, repairing, refurbishing and recycling materials and products throughout their life cycle. Arguably, what was used to be regarded as ‘waste’ could be turned into a valuable resource for business and industry. In sum, this contribution presents the business case for resource efficiency that could possibly bring a new wave of smart, sustainable growth and competitiveness. Barnes, D. K., Galgani, F., Thompson, R. C., & Barlaz, M. (2009). Accumulation and fragmentation of plastic debris in global environments. Philosophical Transactions of the Royal Society B: Biological Sciences, 364(1526), 1985-1998. EPA (2012) Municipal Solid Waste Generation, Recycling, and Disposal in the United States: Facts and Figures for 2012. United States Environmental Protection Agency. http://www3.epa.gov/epawaste/nonhaz/municipal/pubs/2012_msw_fs.pdf retrieved on 03rd November 2015. 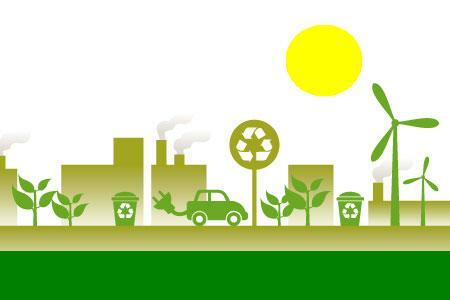 EU (2015) Moving towards a circular economy. European Commission, Brussels. http://ec.europa.eu/environment/circular-economy/index_en.htm accessed on the 01st November 2015. Levitus, S., Antonov, J. I., Boyer, T. P., Baranova, O. K., Garcia, H. E., Locarnini, R. A., … & Zweng, M. M. (2012). World ocean heat content and thermosteric sea level change (0–2000 m), 1955–2010. Geophysical Research Letters, 39(10). McKinney, L., Kick, E., & Cannon, C. (2015). A Human Ecology Approach to Environmental Inequality: A County-Level Analysis of Natural Disasters and the Distribution of Landfills in the Southeastern United States. Human Ecology Review, 21(1), 109. Singh, R. P., Singh, P., Araujo, A. S., Ibrahim, M. H., & Sulaiman, O. (2011). Management of urban solid waste: Vermicomposting a sustainable option. Resources, Conservation and Recycling, 55(7), 719-729. Shrivastava, P. (1995). 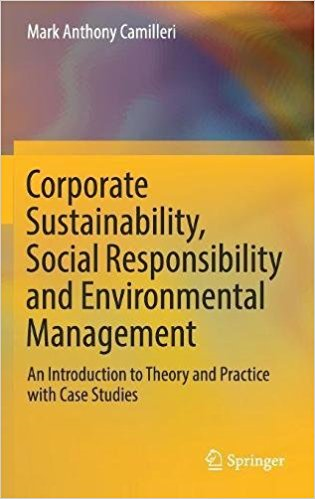 Ecocentric management for a risk society. Academy of management review, 20(1), 118-137. Williams, G., & Zinkin, J. (2008). 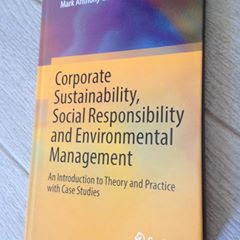 The effect of culture on consumers’ willingness to punish irresponsible corporate behaviour: applying Hofstede’s typology to the punishment aspect of corporate social responsibility. Business Ethics: A European Review, 17(2), 210-226.